Enter the numbers as they should appear on your finished sign. 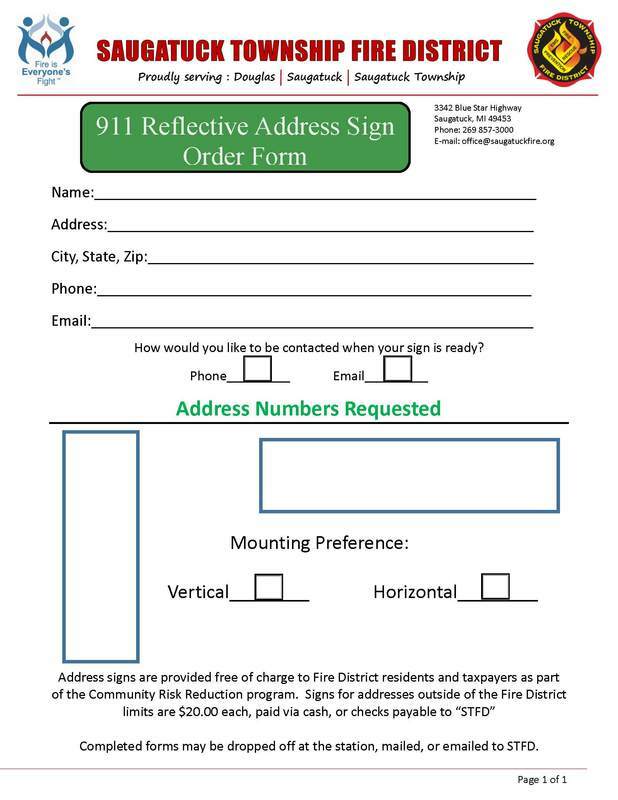 Address signs are provided free of charge to dwellings and taxpayers within the Saugatuck Township Fire District Coverage Area. This includes one 4-digit double sided address sign. If you would like other information included, please contact us for a custom quote. Address signs are available to non-taxpayers at a cost of $20.00 per 4-digit double sided address sign. Click the icon below if you prefer to download a PDF form to drop off at the station.